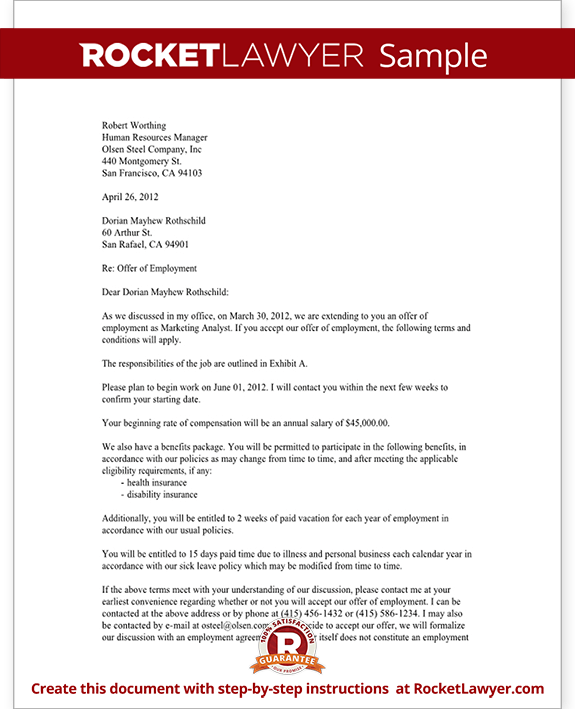 Job process begins with job interviews and it continues with offer letter. 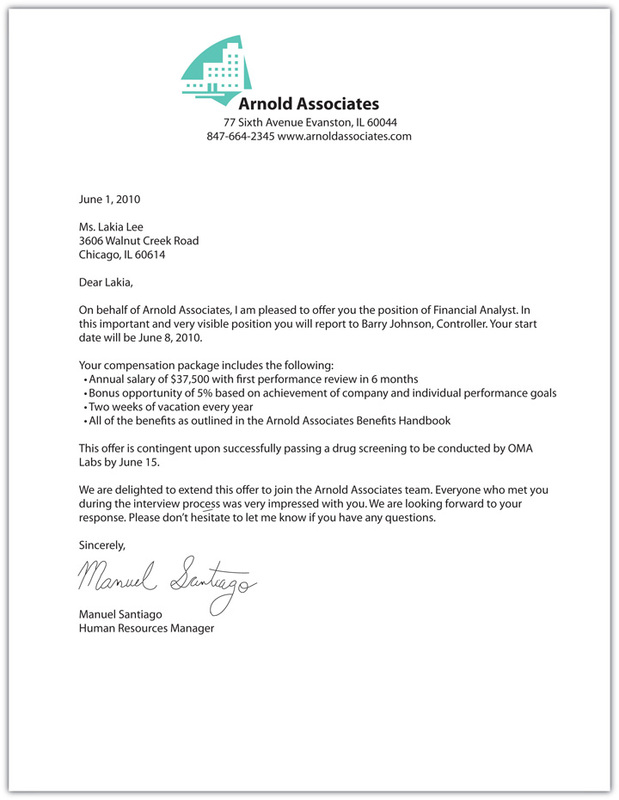 By means of this written offer letter, you will announce your preferred candidates and negotiate job conditions that you are both fulfilled. 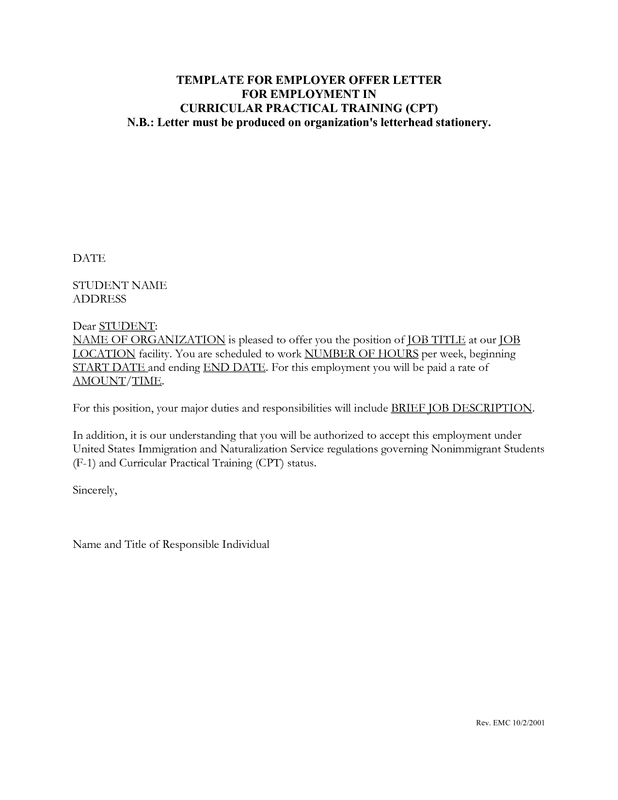 Basically, your offer letter must include position title, salary etc. 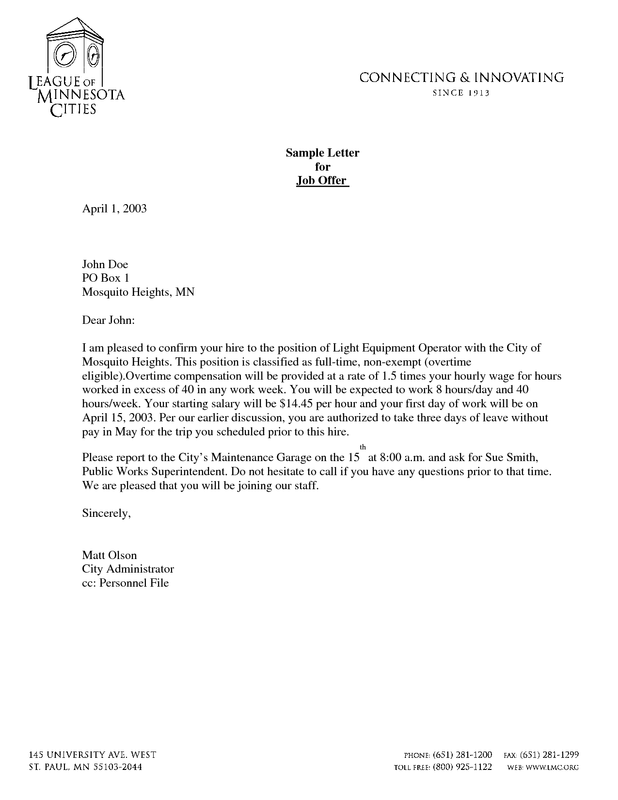 If we look in detail, we need to start this letter with addressing that person’s name. 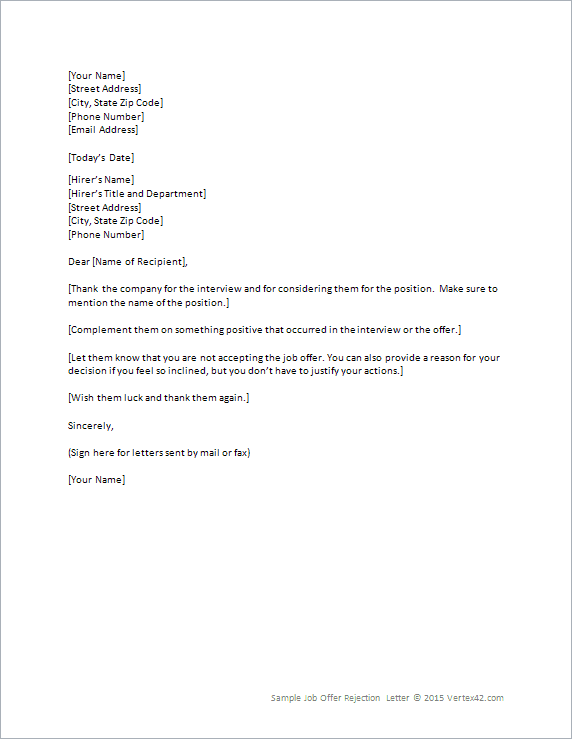 After that, we should mention the position of job, which the employee was recruited. 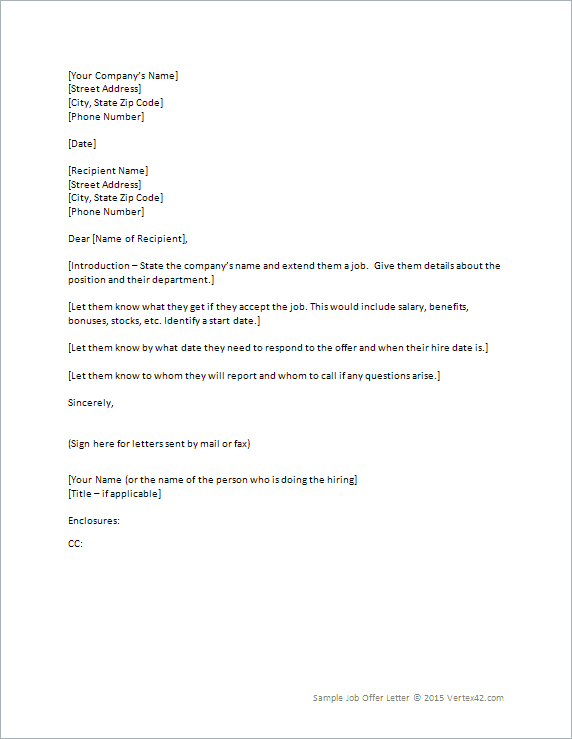 If you talked or not about employee’s supervisor or position, you need to again mention that which person will be in charge and what is the exact position of this new employee. Then, you should write salary of per month or year etc. and you need to specify the duration of the job. For example, it can be a seasonal or casual job. 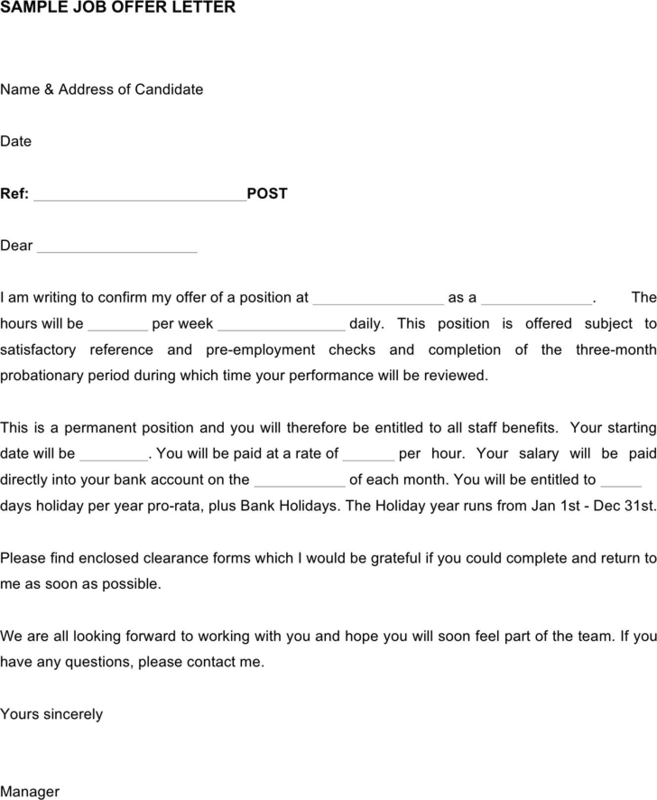 Also, if this is a contract position, you need to mention about duration of this position. In addition, if your company covers any other conditions like health insurance, you also have to state all of them. 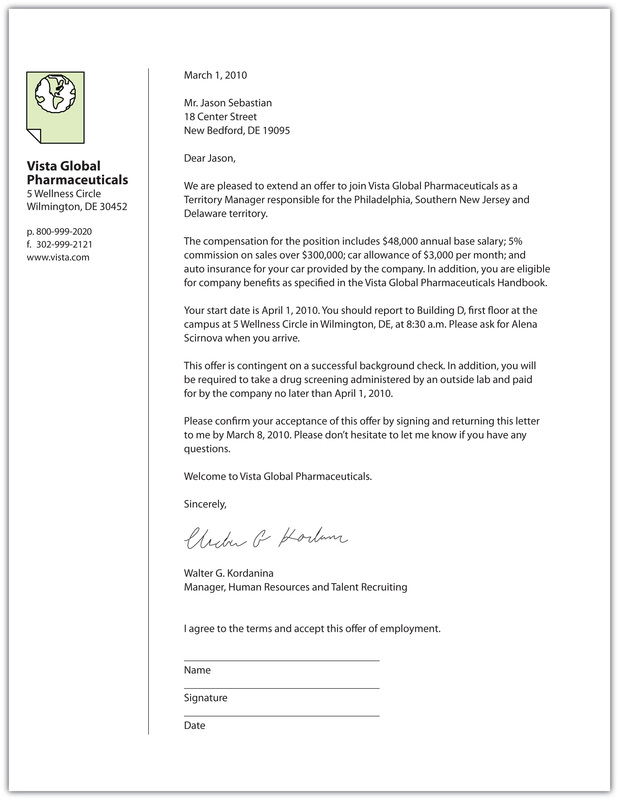 Another important point for stating in the letter is vacation and it is as significant as job conditions because all employees need some rest and break. Also, this vacation makes their effort more because they feel more powerful after a break. Thus, we have to indicate vacations in the offer letter. For instance, a week will be given for per year. Besides that, if you require any time for probation, you have to give exact due date. After this specific knowledge, you can say the date of beginning to job and note that if the employee is not suitable in that time, he or she have to report proper day. 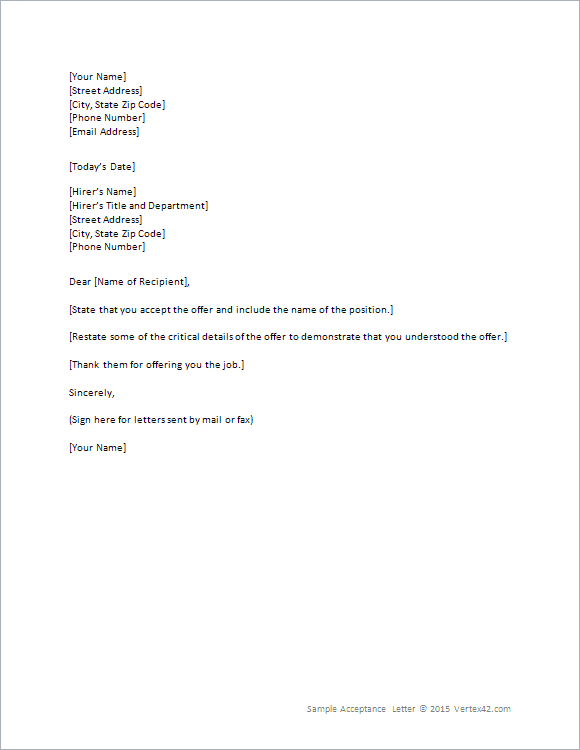 Overall, this letter is an official document for accepting the new employee and it resembles with job interview because you should write the conditions that you mentioned before and make sure this job terms are suitable for both you and your new employee.